Our extensive contact network of manufacturers covers 15 countries. This allows us to be flexible in relation to our own product development or that of our customers. Our understanding of production and our expertise regarding logistical issues is often the key to profitable business for our customers.. 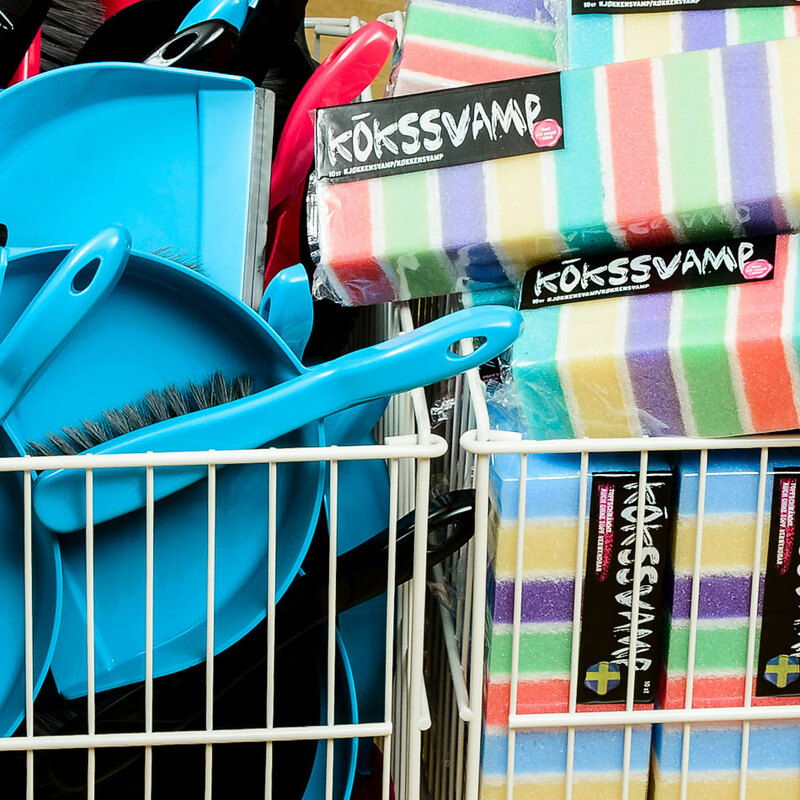 Here at Klimabolaget, we have extensive experience of many different sales channels. 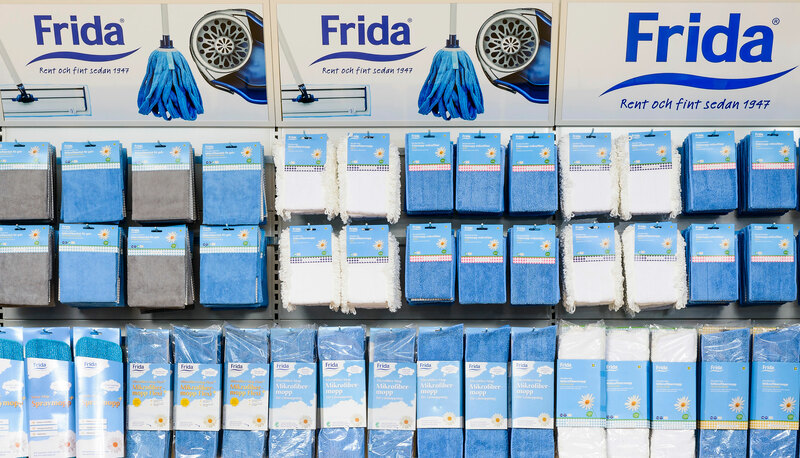 We offer ready-made sales solutions for cleaning products in the form of shop stands and specialist shelves for most of our brands, which is an effective way of improving sales flows. We can also provide advice on product range adaptation and shop exposure and help you to optimise your sales. 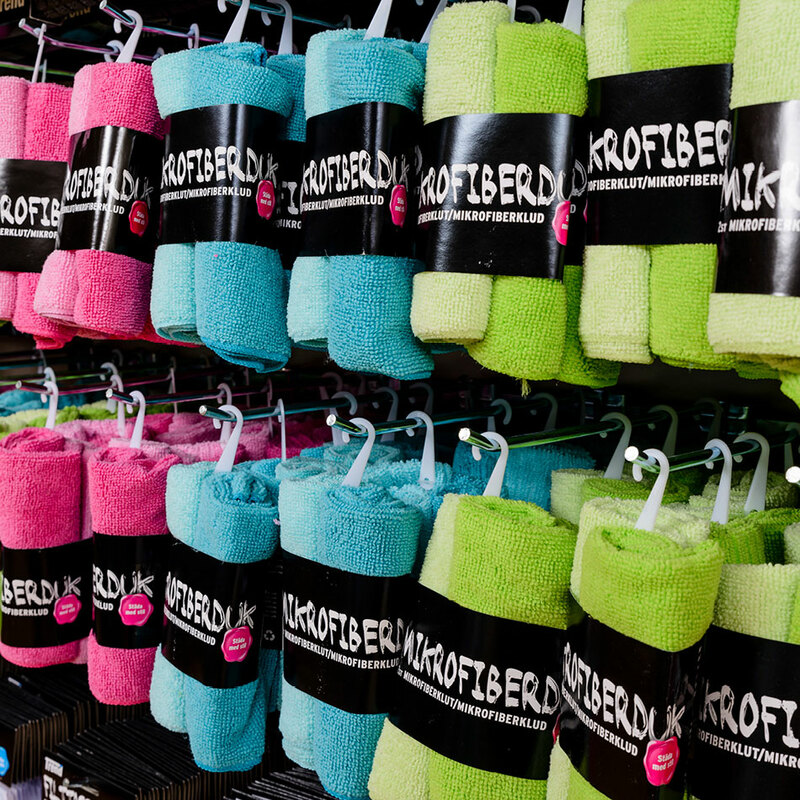 Cleaning products often help to boost sales in shops, especially if products can tempt people with attractive colours and designs that stand out. Here at Klimabolaget, we are pleased to share our knowledge and experience of retail, exposure solutions and optimised customer flow. Contact us to find out more about our sales solutions for cleaning products and to help you make a difference.